The site of a small commercial port in the mid-18th century, Crane Beach and its surrounding district assumed the name of the area’s most recognisable scene – the raising and lowering of cargo by a crane. A mecca of cool breezes, Crane Beach attracted scores of the island’s plantation owners and prosperous merchants who sought the reputed “healing” powers of its waters. In 1881, civil engineer Donald Simpson conceived the expansion and conversion of the area’s primary dwelling house – Marine Villa – into a hotel. Opening in 1887 and known then as “Crane Beach Hotel’, it quickly became a favourite hideaway for the world’s elite, with American cowboy William Frederick “Buffalo Bill” Cody famous leaving his gold chain and fob watch as payment for his room charges – a keepsake which remains in the island’s prominent Simpson family to this day. 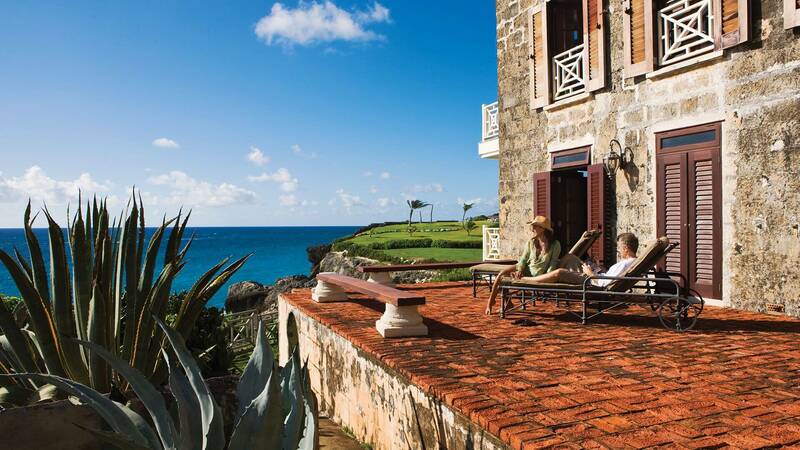 In 1922, the Red Book of the West Indies reported ‘The Crane Hotel occupies a high-cliff on the Southeast coast of the island, swept by fresh, invigorating breezes. From its windows is displayed the beautiful sea, fringing with exquisite colours the white soft sandy beach of the hotel’s superb bathing place, that has no superior anywhere in the world”. Today, Crane Beach remains as beautiful as it ever was – still overlooked by a charming, historic, 18-room hotel and also, by a magnificent residential resort with world-class amenities and services.